As I write this, I am a tourist in London, England. I have toured many of the churches and historical sites and have had opportunity to learn much about the history of this great nation. The church buildings are magnificent; even the lesser known churches are beautiful edifices. Seeing all of them, I wonder what it was like to hear the church bells ringing all throughout London on a Sunday morning a century or two ago. While I enjoyed touring the churches, my visits were a mixed bag for me. For example, one of the more disconcerting things that I encountered was a commemorative to Charles Darwin in Westminster Abbey. 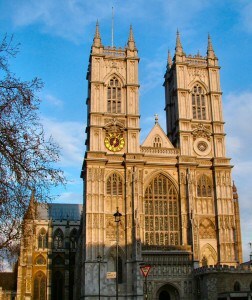 I hope that I will not offend anyone when I say this, but for me Westminster Abbey was more museum than house of worship. I was awed by the rich history of England as I toured, but little about what I saw around me pointed me to worship of God. While I do not claim any knowledge of the eternal state of Charles Darwin’s soul, I do know that his legacy is one that should not be celebrated by the church. This is not because the church cannot participate in scientific discussion, nor is it because we do not have answers to Darwin’s stance against Christianity. Instead of celebrating Darwin’s accomplishments, we should be demonstrating that his there is evidence in support of the Christian concept of creation. To see the marble slab with Charles Darwins name on it in the church seems to indicate to the church aquiesces to the scientism of the current educational establishment. I admit that the Abbey was indeed beautiful, arguably the most beautiful building I have ever seen. It was spectacular, but seemed to be more a testimony to the skill and power of men (and women) than it was a place of worship. Or, perhaps stated more rudely, it was a place to worship man and not God. I wanted to be induced to worship God, instead I was overwhelmed by a littany of names of great men and women. 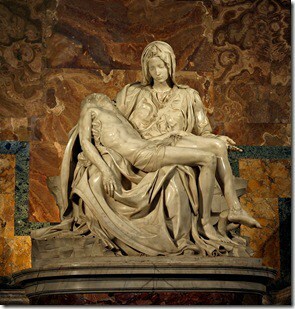 My thoughts jump to the difficult relationship between the church and the arts. It seems that too often when we set out to create beautiful things what starts out as an act of worship of God ends up being the thing worshipped. I was encouraged by one thing in my Westminster Abbey tour. On several of the statues and monuments, I saw spider webs. The spider is not overawed by the grandure of the Abbey, he just goes about doing what he was designed to do. Perhaps those spider webs were the only object in the Abbey created as a pure act of worship. Can we stop pointing fingers?